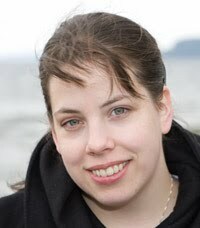 I am Ann-Katrin, I am 30 years old and I live in Norway together with my husband, our daughter and our cat. 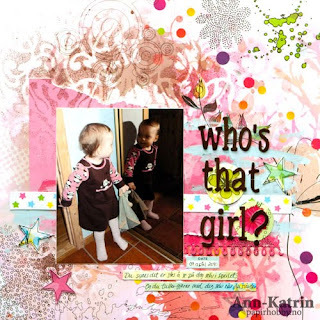 I have been scrapbooking since 2005 and I just love this hobby! My main style is grunge (lot of paint and mist) and vintage. Two different styles. I also love to try new techniques and to use a lot of bright colors. I am on different Design Teams, sketch designer for a challenge blog and I teach classes in scrapbooking. This hobby is my life and I love all the great friends that I have got thru scrapbooking, friends from all over the world. 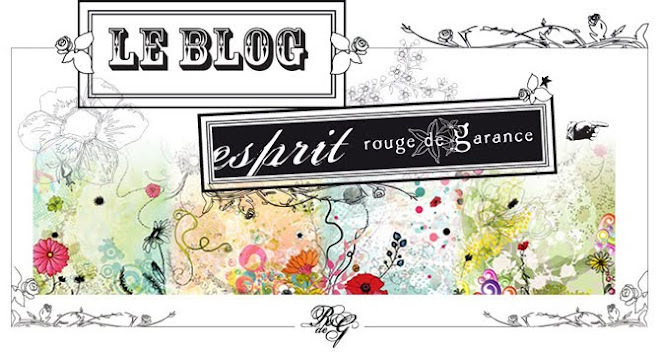 Thank you Rouge de Garance for asking me to be a VIP guest. Love your products. 12x12 inch – So many stones. I have used lace RMLCR1 and the background-paper that followed, and Adèle no3 – verso. I have also used some paint, cardstock and letters. 12x12 inch – Who’s that girl? I have used Vivaldi no6 – recto and Vivaldi no1 – verso. I have also used some paint, mist and punches. 6 x 12 inch, a page about me. I have used Vivaldi no4 – verso, star-punch and some red paint. How great your pages are!! I specially love the first one!